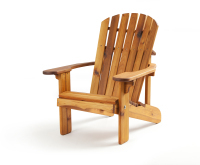 "The Best Seat in the Whole Outdoors"
Contoured for quality, comfort, and style, our top selling Adirondack chairs, gliders and garden furniture offer the most comfortable outdoor wood chairs ever invented! 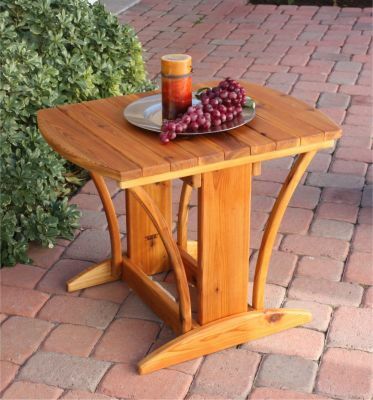 Made of gorgeous Western Red Cedar, our furniture is lightweight and has an incredible thermal coefficient. That means even on hot days, it is satisfying to the touch. 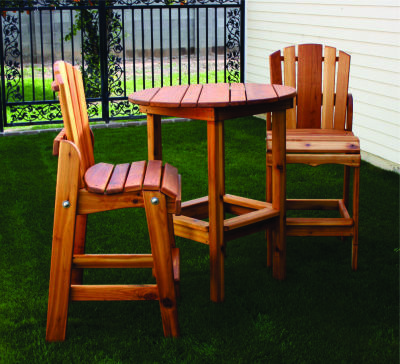 80% the strength of oak, the bacterial and fungal resistance of our Western Red Cedar ensures long life and is considered by many to be the most desirable wood to use when building outdoor patio furniture. 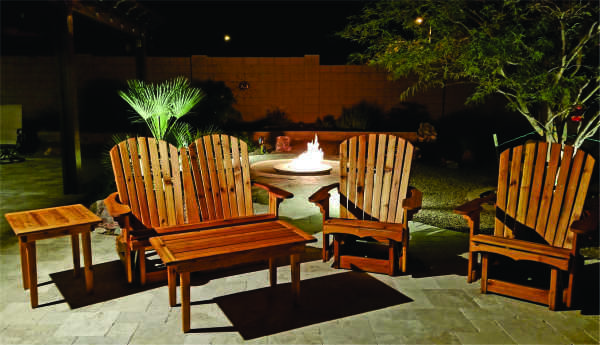 Harold ships in his palettes of Western Red Cedar from Washington State and hand picks the best pieces of wood for the project at hand. 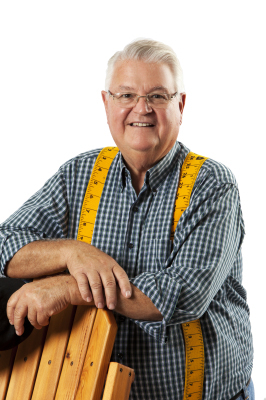 Cutting, gluing, and sanding each board with tender-loving-care, Harold is the kind of guy that treats his customers like they really matter. "Because they do," he says. 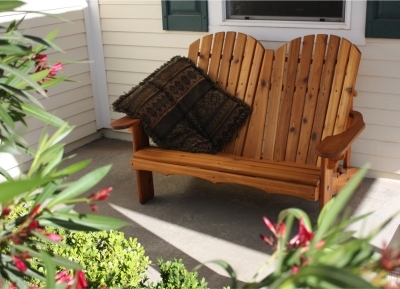 We make ADIRONDACK CHAIRS, ADIRONDACK GLIDERS, ADIRONDACK LOVESEATS AND LOVESEAT GLIDERS in addition to GARDEN FURNITURE and our three-piece BISTRO SET. 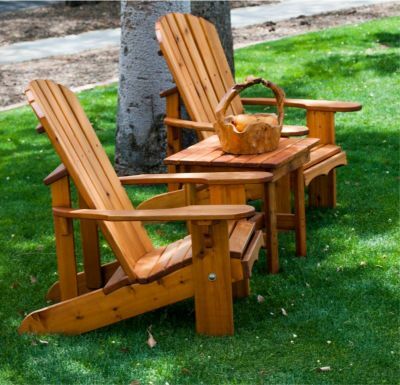 The superior bacterial and fungal resistance of Western Red Cedar, the most desirable product for outdoor wood furniture, ensures long life for all of our furniture products. 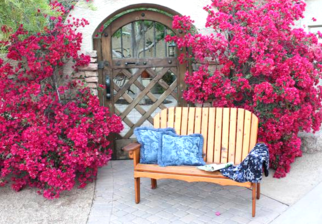 We hand build each piece of patio furniture in our private shop in Glendale, Arizona and give personal service to each customer. Please contact us via the CONTACT tab or by phone for more information or if you have questions before placing an order. 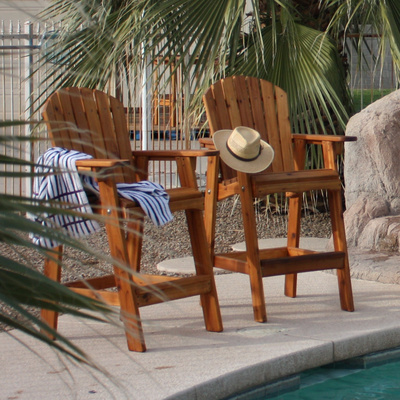 When it comes to outdoor wood furniture, our Adirondack Chairs are unsurpassed in QUALITY, COMFORT, AND STYLE. 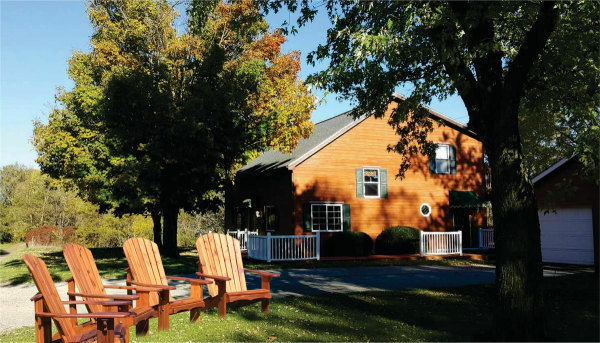 From country living to city dwelling, Adirondack chairs set the mood for any outdoor gathering.